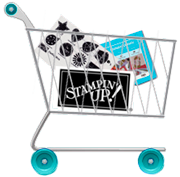 Danni's Dreams: Let's get scrappy! Once upon a time there was a girl who worked in a camera store. Her job was to develop all the photos from customers. The longer she worked there the more her love for photography grew and soon she was doing portraits, weddings and wildlife photography. One day her boss introduced her to this "new thing" called scrapbooking. The rest as they say, is history. 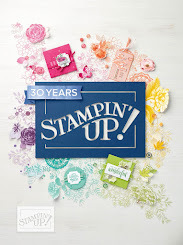 For many, many, many years she happily created hundreds and hundreds of scrapbook pages but then one day she was introduced to rubber stamping. The rubber stamping and cardmaking that came with it consumed her and slowly the scrapbooking faded away but it always had a small light on in case she needed to find her way back. It has been 2 years since that girl has made a scrapbook page and the photos are piled up and backlogged but today she found that light and found her way back because she misses scrapbooking so much! That girl is determined to make time for it along with the cardmaking. The girl is also determined to not worry what others think as her scrapbook pages are not all fancy schmancy like many of the pages are today. They are simply her happy. And that is good enough. The last time she scrapbooked she was working on photos from a zoo trip so that's where she decided to start. You can see her other pages that she's made from this trip HERE! There are no words to describe the happiness that the girl felt as she laid out her photos and looked through her idea books to get the layouts flowing. It's like she came home after being away for a long, long time. The girl decided 2017 is the year to be scrappy. Of course there will still be cards but she decided that 2017 is the year to bring back scrappy happiness!! So be on the lookout for scrapbook pages soon!! We must be channeling each other. I cleaned out my craft closet and found my original scrapbook from 2000. Oh my I loved all memories. I am going to try to scrap some this year too! I love "scrappy" days! Glad you are finding that passion again. I too miss it...just need the time and the space. I see a space in the future...a bittersweet space as it will be Ryan's room as he moves out and on his own to start his new chapter of life after college. I will spend my time, which I need to make for myself, scrapping the years full of memories. Thank you Danni for many of the early photos and for sharing the love of scrapping.